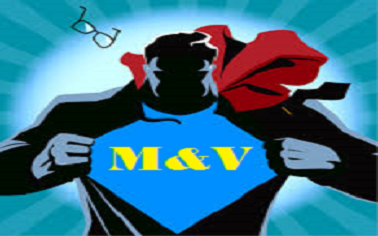 Energy Project Verification - Blog ‐ What is M&V? 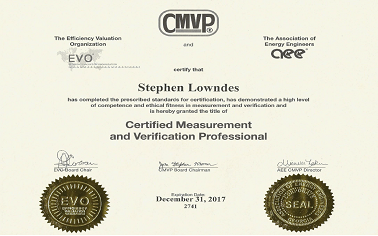 M&V is a term increasingly being bandied about within energy efficiency circles and stands for Measurement and Verification. The idea is to obtain assurance that the investments made in an energy efficiency or an energy generation project are really being achieved and to measure them accurately taking into account all likely influences in order to fully understand what impacts the investment return and how to operate them efficiently. You may think that energy project savings should be easy to spot because you should just see a reduction on your electricity and gas bills. However in many cases it is not as simple as just looking at the bills and assuming that what you see on these reflects on how well your energy saving project has performed. There could be many influences on the energy / utility bills that are either obscuring, hiding or showing a bias to the actual savings being realised. These influences to the apparent savings interpreted from the energy bills might show the energy project in a good or bad light. It may show you are not saving as much energy as you thought you were and indicate that the investment was not such a good move as originally planned. Or it might be indicating the savings are way above your expectations, which on the surface is probably excellent news, but underneath there may be other reasons outside of your control for the apparent over performance. Typical influences include a non-existent baseline, or an ill-defined baseline (you don’t know what your savings are being monitored against) or external factors that affect the baseline or savings position (these may be things like occupancy variance, production variance, or seasonal weather variations). Some of these factors may be definable and predictable, others may be out of the ordinary. The trouble is without having a proper M&V plan that sets out a ‘route map’ and without having an ‘expert navigator’ on board that can steer you through it, you may always be either questioning the value of the project investment made, or simply be unable to plan for its impact on your business. You may even be unable to get the project off the ground in the first place, simply because you have no sound basis to make the investment decision on. This is where an M&V professional can help. In particular a recognised professional able to provide M&V planning at project outset and / or verification and auditing during operational stage. Energy project Verification can help! Contact us to find out more.